So few successful perfume houses have emerged out of Scandinavia, which to me - someone living in Denmark - is something of a mystery. One might reason that Scandinavia is perhaps best recognised for its simple, clean, unembellished style and one might further suggest that perfume (a rather complex creation), somehow contradicts the widespread notion that function is perhaps more esteemed than excess here in the Great North. Fortunately, Agonist Parfums, based in Stockholm Sweden, is the second major Nordic brand to enter the international fragrance market in recent years, and is one that represents a marriage between modern Swedish handcrafts and perfumes that are exceptional in nature. In close collaboration with professional perfumers in Grasse, Agonist is a new Scandinavian fragrance brand launched in November 2008 that creates gender-neutral eau de parfums that embody a sense of Nordic climates and cultures: full of dramatic contrasts and artistic exactness. Agonist Parfums' bond with with glass artist Åsa Jungnelius who works with Sweden's most prestigious, oldest glassworks Kosta Boda has resulted in stunning artistic interpretations of each fragrance in glass. Her unique flacon designs are individually fashioned for Agonist in Kosta Boda's raging furnaces. To date, Agonist have released 2 perfumes. The first, Kallocain (2008), was presented in a stunning black glass flacon with tapering neck - a design that was exhibited worldwide and is now a part of the permanent collections at the Röhsska Design Museum in Sweden. The second, named The Infidel (2009) was originally presented as a limited edition figural pair of artglass flacons, and recently re-realised in stunning vermillion red. If the truth be told, prior to my sampling, I could not have imagined the elixir that any of these remarkable vessels held. Perhaps I had expected something typically Scandinavian: understated, architectural, sanitary; but I most certainly was not prepared for my experience with The Infidel. This perfume reveals a dignified citrus opening with flourishes of semi-transparent black currant, but almost immediately steps off the abyss and plunges towards a fathomlessly deep heart of aromatic cumin. Under normal circumstances, I might have winced at such a heavy-handed use of cumin, but here it resides amongst a narcotising scattering of aromatic florals, which do well to transform the sweaty skank into something camouflaged and hypnotising. As the cumin continues to establish itself, a blossoming magnolia accord reaches out with its powdery pink tendrils over a creamy tonka core. Some time later, there is a sensation of growing heat that presses up from below... an insolent ember of amber and rockrose that provide a residual background warmth. The Infidel as it's name suggests, is a non-conformer. This perfume represents all that I had not imagined I might experience when applying it to my wrists. It is rich, spectacular and imposing. The Infidel continues to evolve over many hours, and at some point, doubles back on itself. Where most perfumes work through their olfactory pyramid from top, to middle, to base; I felt as though after a time, it worked its way back again. Nine hours after application, the amber and cumin have dissipated and I am left with the faintest huff of floral greens on my skin. Whilst many perfumistas might argue that the Kosta Boda presentations are inessential (and many glass collectors feel the same about the perfume), I feel Agonist have succeeded in unifying two spectacular works of art. Visit the Agonist Parfums website for more information on the brand, and how to order Agonist products. Created in 1977 by Yves Saint Laurent, Opium was a controversial release at that time; in part because of its evocative name and that which the perfume itself represented in popular culture, released on the heels of an era of psychedelic drug use. Yves Saint Laurent came under fire particularly from Chinese-American communities who felt the name and its associations insensitive... which in turn served to publicise the perfume even more. Opium embodied exotic enchantment with its narcotizing florals, deep spices, warm woods and spiralling resinous heart. To this day, it is revered as one of the classic orientals and a yardstick against which other oriental releases are still measured. My exposure to Opium has been life-long. For as many years as I can recall, my mother has spritzed her decollitage with this mysterious elixir, and I have grown into an adult with its perfume profile imprinted clearly in my subconscious. Few oriental style perfumes even come close to the success of Opium, whose rich heritage has been beautifully documented in advertising media for almost 40 years. In that time the packaging and striking perfume formula has been largely unchanged. Until today. Now, just two years since Yves Saint Laurent was bought from the Gucci Group by the cosmetics giant L'Oreal, the unthinkable has occurred. 2010 has seen a new Opium flacon and packaging presentation hit the shelves, and whilst I could never fault the original, the new bottle and media campaign both succeeded in catching my eye. Sadly, the perfume itself did not appease my nose. Nor did it live up to the olfactory fingerprint that the original formula has left on my psyche. Why have they messed with perfection?! I find the new formulation a travesty. The EDT has suffered the most, but the EDP has also been afflicted with a mess of accords that simply have no business being there. Somewhere between the plum, cloves and carnation; the rose, the myrrh, the sandalwood and the animalic castoreum, there now resides a ghastly synthetic mess that I can only begin to describe as powdery, bitter elastic bands. As far as the perfuming arts are concerned, I feel this is every bit as repugnant as the little black moustache French artist Marcel Duchamp added to a reproduction of Da Vinci's Mona Lisa during the Dada art movement in 1919. A cheeky bit of vandalism callously applied to a master creation. Only, here the justification of such a defacement is not at all clear. I think if Yves were still alive today, he would be outraged. The perfume that personified his name and his brand - a scent that has been cherished the world over - has also met an untimely end. As per the terms of L'Oreal's purchase, they have taken over the long term license for not only YSL, but also Boucheron, Stella McCartney, Ermenegildo Zegna and Oscar de la Renta. At the age of nine my mother offered to send me to private Art classes, held by a local artist whose name I have since forgotten, but whose smiling eyes I will never forget. My recollection of the days spent in his atelier with 3 or 4 other students are blurry at best, but one thing I do recall, was the smell of his studio. Every time I stepped through the door (twice a week for 6 months) I would savour the sweet scent of the coloured gouaches set out for us on pristine white painting palettes; the chalky aroma of conté sticks; the woodyness of freshly sharpened graphite pencils, and bittersweet aroma of gesso and turpentine. The atelier was an environment I loved to be a part of as we spent a wet New Zealand winter staining large sheets of watercolour paper with vivid, lively hues. As a company whose perfumes are said to be imagined pictorially before construction begins, and later evaluated according to the visuals they inspire; Parisian perfumers Nez à Nez clearly demonstrate a consciousness of the avant garde. In this - one of my preferred scents from their range - they have paid hommage to the artist's creative space with their eau de parfum aptly named Atelier d'Artiste. 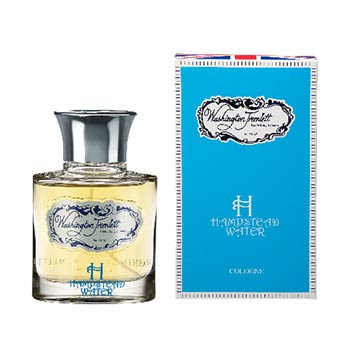 Rather than representing a literal interpretation of an artist's workspace in which one might expect to detect the odour of paint and plaster, this perfume blossoms with overlapping pockets of colour and tone: much like swollen drops of indian ink released onto dampened watercolour paper with an eyedropper. Florets of rich grape, ambery cognac and dark rum fan out in the opening spritz, and is over-painted with a crimson ripple of raspberry. There is a hint of dusty juniper blue and pockets of dark patchouli brown. (The complex aroma is like that of dried fruits marinading in an alcoholic bath before being baked into a spicy christmas pudding). These components slowly spread to the edges of this olfactory canvas; one which was first primed with shades of tobacco, coffee and vanilla. If Atelier d'Artiste were to be viewed as art, it would be an abstract still life... a depiction of fruit and wine spread across a wooden table, but one whose colours and contours have shifted. As with many works of art, they are often appreciated long after their creator has gone. I can easily imagine our children's children coming across a dusty box of this perfume 50 years from now, and discovering it is an accurate depiction of this very moment in time. Much like the canvas of an artist. 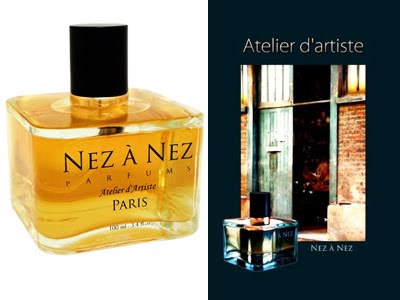 Nez à Nez Atelier d'Artiste is available in 100ml size from www.essenza-nobile.de for €98.